The CMS issued a final rule Tuesday to resume paying $10.4 billion in risk-adjustment payments to insurance companies with plans on the individual market. 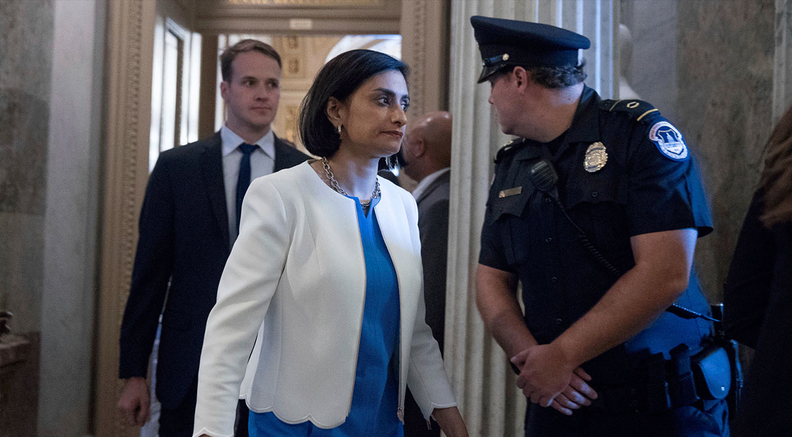 "This rule will restore operation of the risk-adjustment program and mitigate some of the uncertainty caused by the New Mexico litigation," CMS Administrator Seema Verma said in a statement. "Issuers that had expressed concerns about having to withdraw from markets or becoming insolvent should be assured by our actions today. Alleviating concerns in the market helps to protect consumer choices." The rule was expected after the White House's Office of Management and Budget posted on its site that it had received a rule on the risk payments last week. HHS skipped the proposed rule stage and won't take comments on this decision, saying the normal rulemaking process would have taken too long to restart the program, according to the CMS. That approach "would be impracticable, unnecessary and contrary to the public interest," according to the rulemaking. "Immediate administrative action is imperative to maintain the stability and predictability in the individual and small-group insurance markets." The agency halted the payments for 2017 earlier this month, citing a federal judge's ruling in New Mexico earlier this year. U.S. District Judge James Browning determined the agency did not adequately justify its payment methodology and it needed to do so via rulemaking. Browning also said HHS couldn't use statewide average premiums to come up with its risk-adjustment formula because the agency wrongly assumed the ACA required the program to be budget-neutral. But the law doesn't require that, he said. It also hopes this will help preserve the significant investment made by states, issuers and the federal government to support the program.